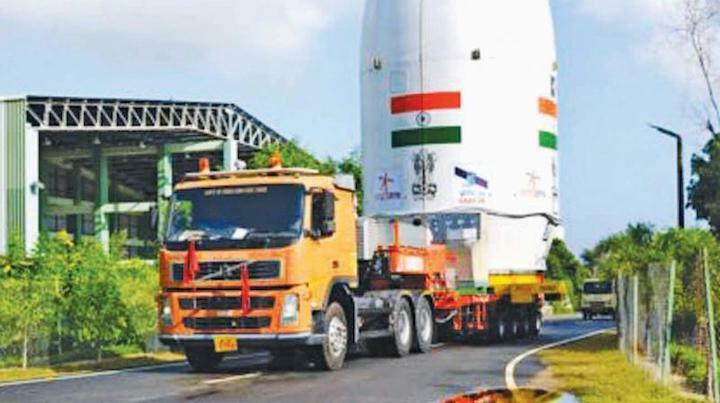 Chennai: Even as Tamil Nadu and its neighbouring states are bracing themselves for cyclonic storm Gaja, Indian Space Research Organisation (Isro) is preparing to launch GSLV-Mk III-D2, one of its heaviest rockets, on Wednesday (November 14) at 5 pm, just hours before the expected landfall of the cyclone. 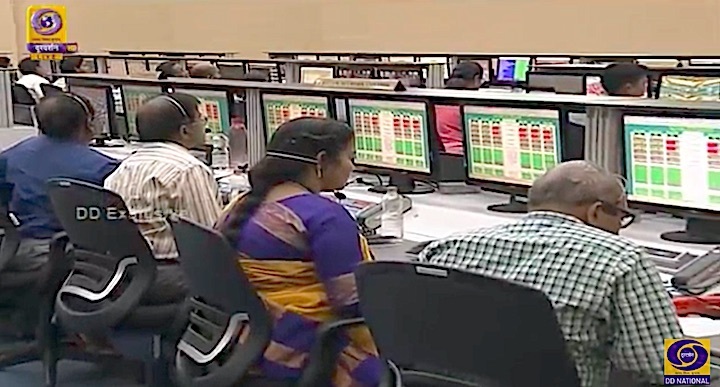 The cyclone is expected to make a landfall on the noon of November 15 on the east coast between Cuddalore and Pamban. 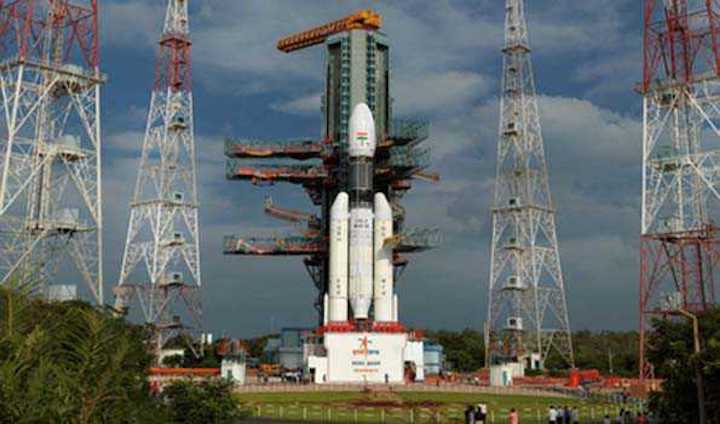 In its second mission, GSLV-Mk III rocket will carry 3,423 kg GSAT-29, a high-throughput communication satellite from the second launch pad at Satish Dhawan Space Centre in Sriharikota. 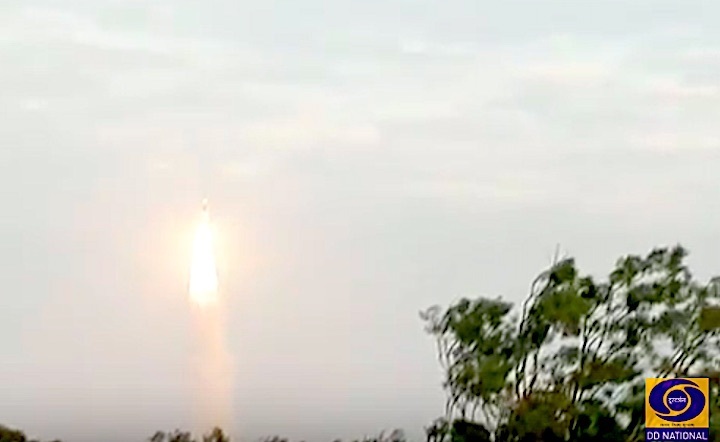 The satellite is expected to provide both internet access and mobile connectivity to remote areas of the country. 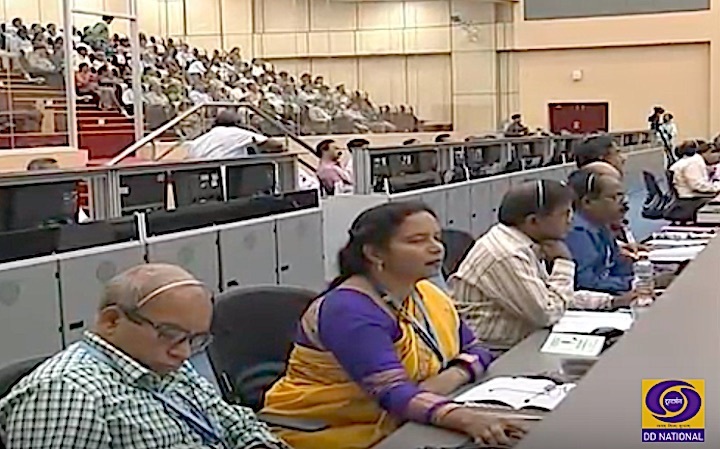 It is a very crucial mission for Isro as the success of this mission would make the launch vehicle operational ahead of Chandrayaan-2 mission next year. 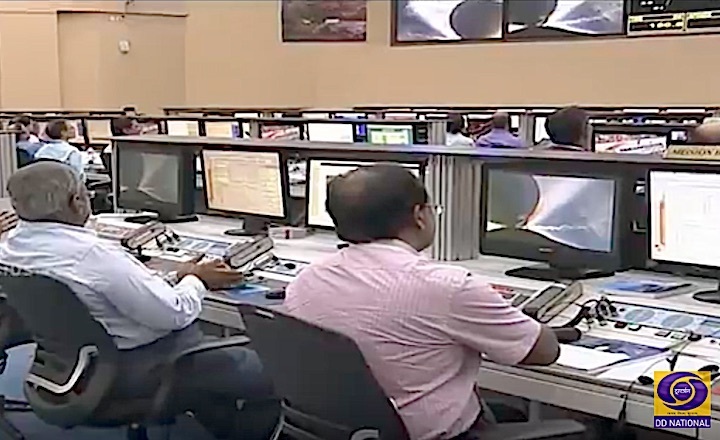 “Our plan is to launch the satellite before the cyclone makes the landfall. 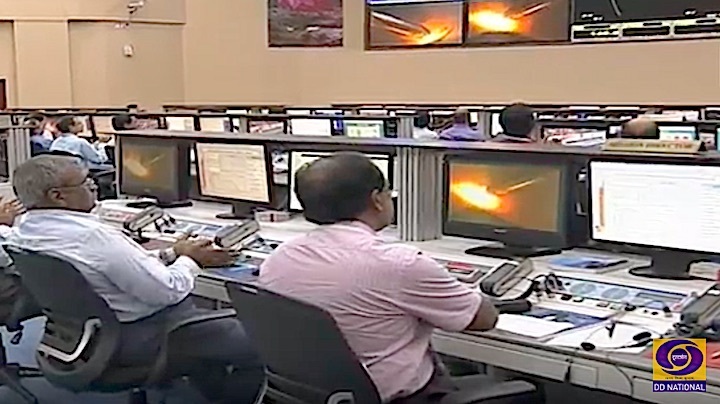 So, there will not be any issues,” Isro chairman K.Sivan told this paper. 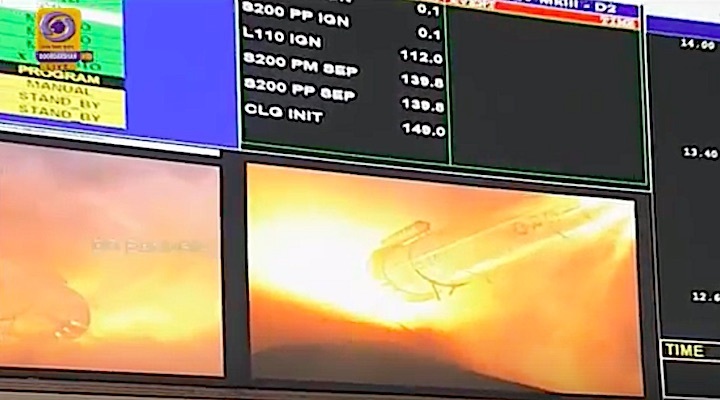 However, Isro also said the launching time is tentative and subject to weather conditions. 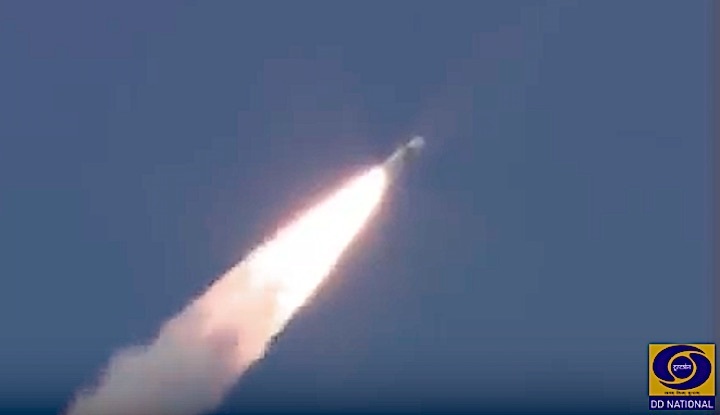 He further said the GSAT-29 satellite will improve the connectivity in remote areas and increase the internet speed in the country. 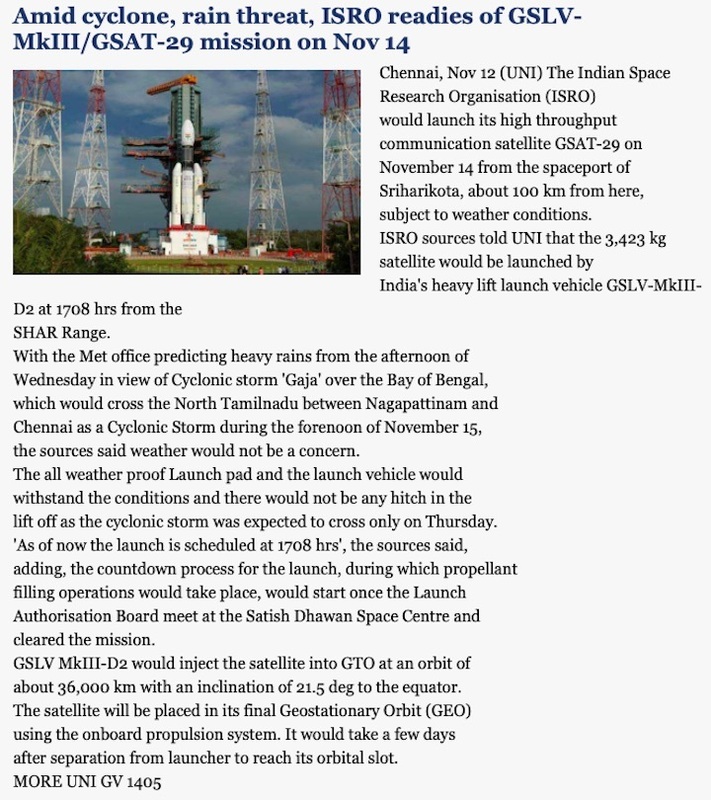 GSAT-29 satellite is a multibeam, multi-band communication satellite. 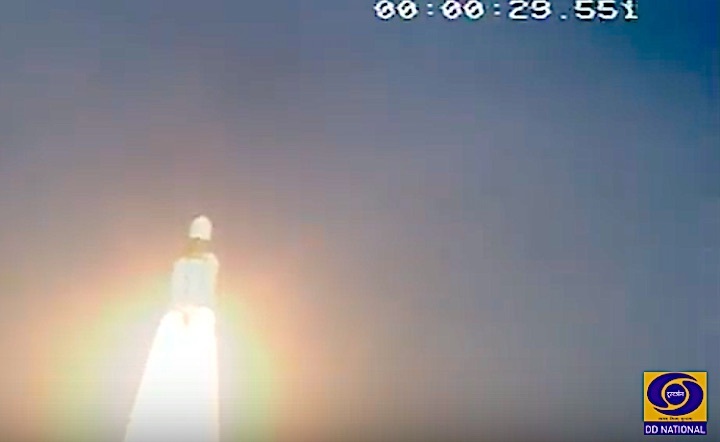 The satellite which was built at the cost of `360 crore carries Ka/Ku band high throughput communication transponders to meet the communication requirements. 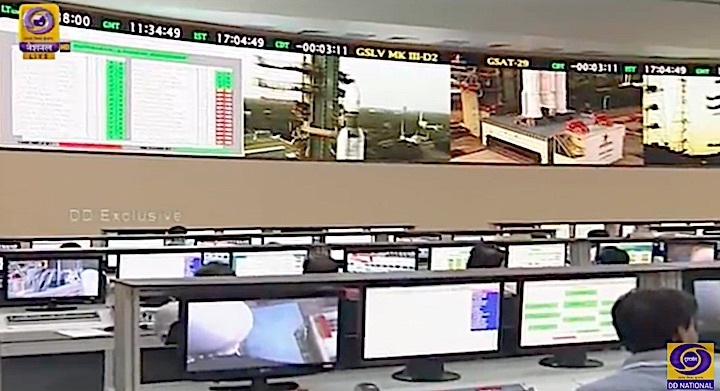 In addition, several new technologies such as Q/V band payload, data transmission through optical communication link will be demonstrated. 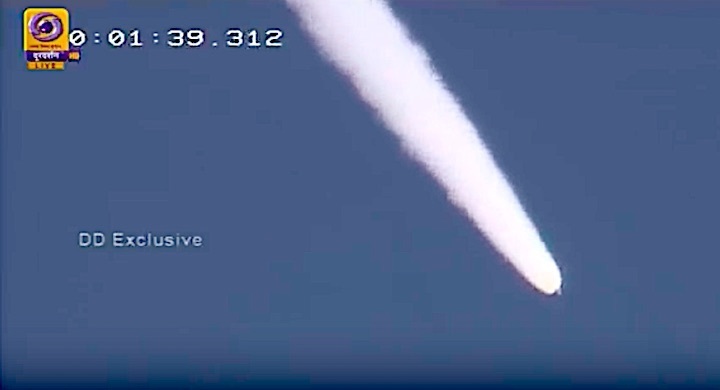 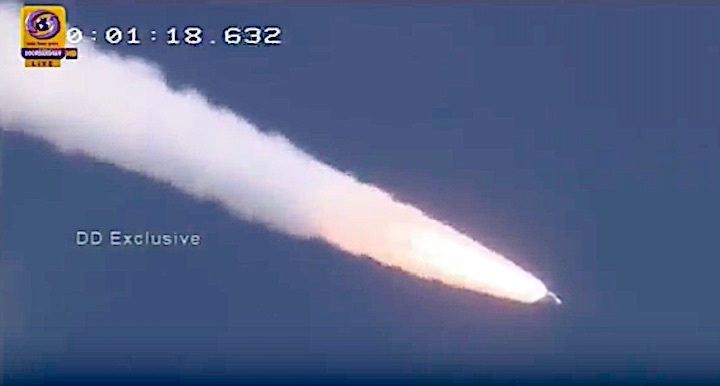 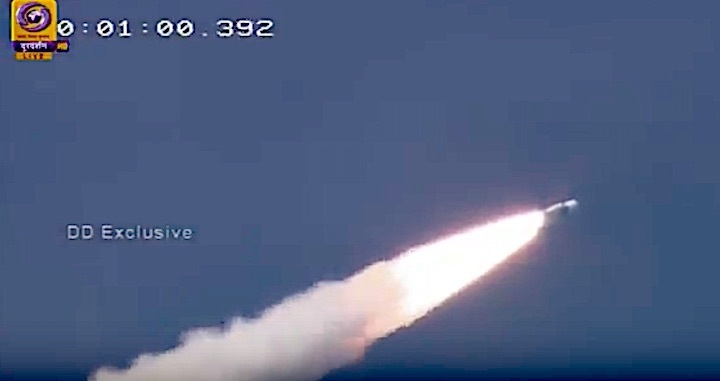 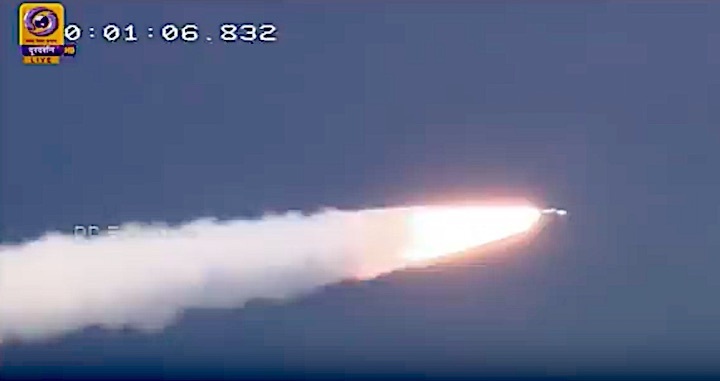 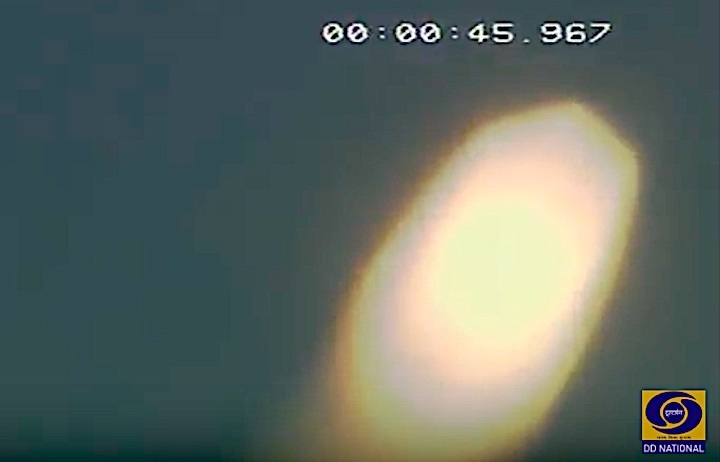 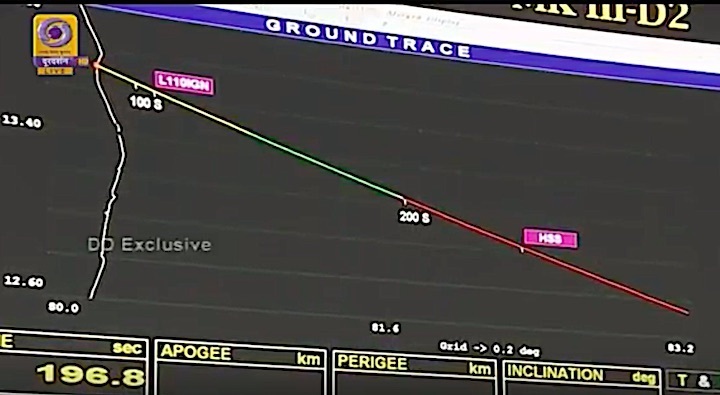 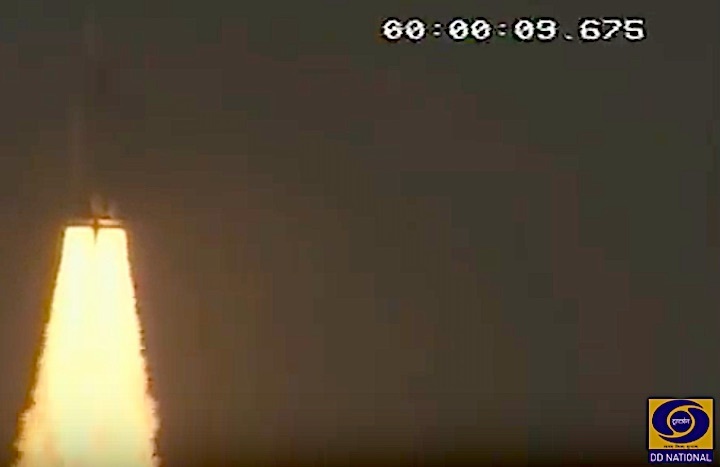 After a flight of 17 minutes, the GSLV-Mk III rocket will inject the satellite into Geosynchronous Transfer Orbit (GTO) with the perigee of 190 km and apogee of 35,975 km. 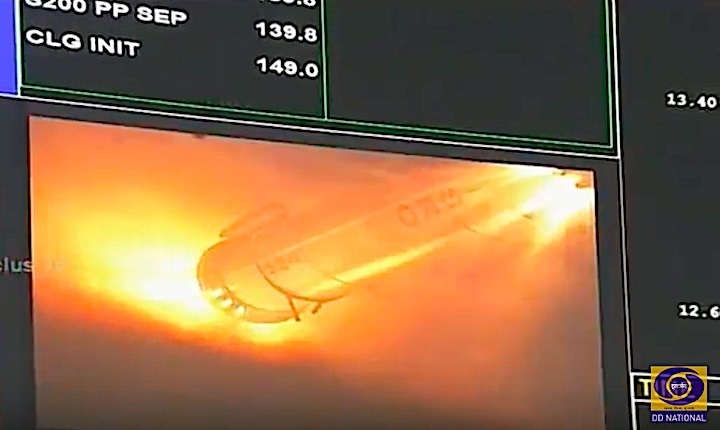 The satellite will be placed in its final Geostationary Orbit (GEO) using the onboard propulsion system. 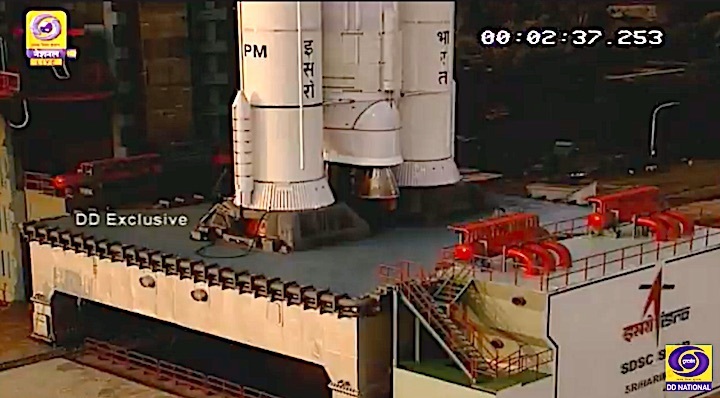 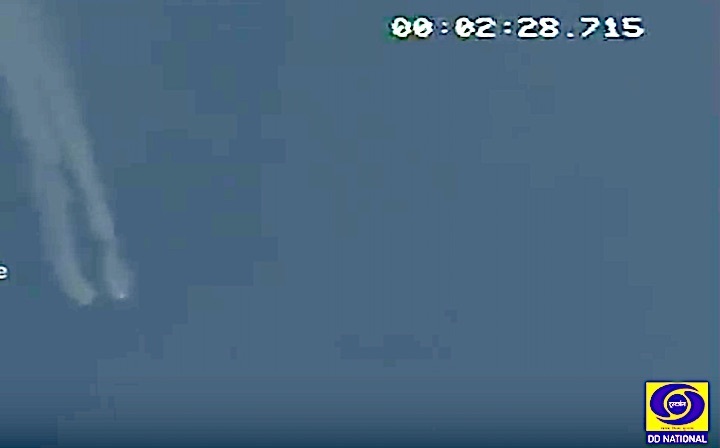 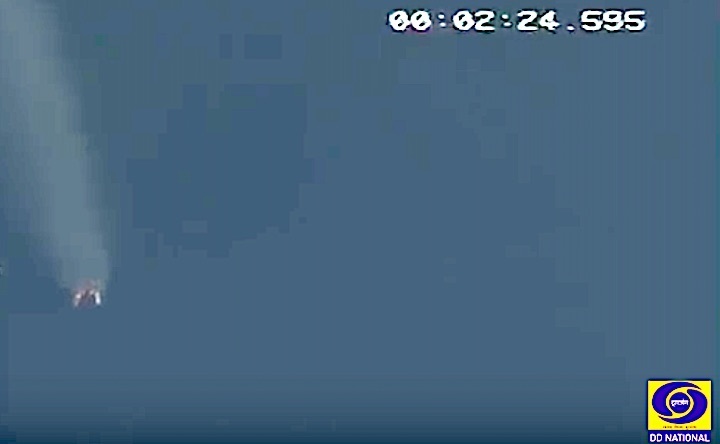 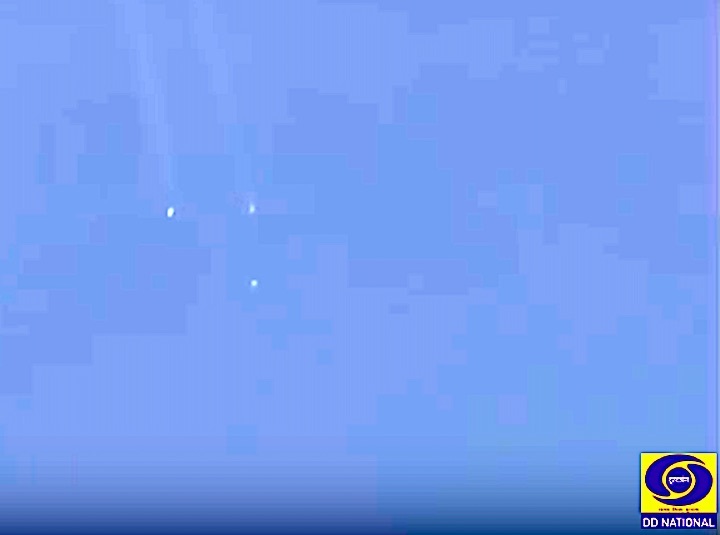 It may take a few days after separation from the launcher to reach its orbital slot. 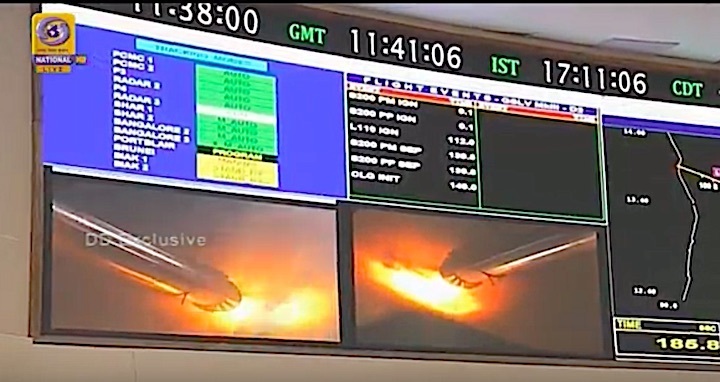 GSLV-Mk III rocket has two solid strap-on motors (S200) as the first stage, a liquid propellant core (L110) as the second stage and a cryogenic (C25) as the third stage. 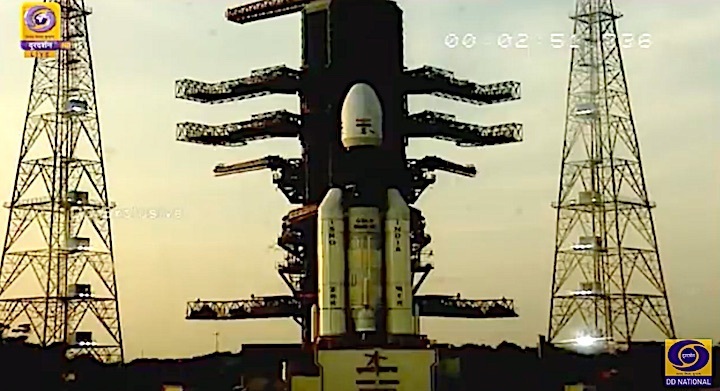 GSLV Mk III is designed to carry a payload of 4 ton class of satellites which is about twice the capa-bility of GSLV-Mk II ro-cket.